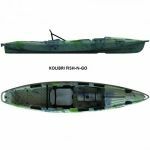 An important accessory for every fisherman, hunter, active and extreme recreation enthusiast and tourist. Aqua-Storm Company’s dry bags are made of five layer reinforced PVC 800 g/m2 and are highly durable, long lasting and environmental-free. RoollProof closure ensures 100% watertightness – everything that you will put in the bag stays dry in any case, enables to roll down the bag until appropriate size, and cylinder style provides convenient carriage in the boat. 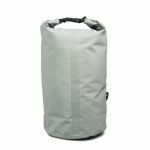 Dry bag is very important accessory for every fisherman, hunter, active and extreme recreation enthusiast and tourist. 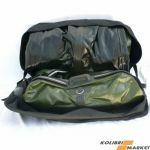 Aqua-Storm Company’s dry bags are made of five layer reinforced PVC 800 g/m2 and are highly durable, long lasting and environmental-free. RoollProof closure ensures 100% watertightness – everything that you will put in the bag stays dry in any case, enables to roll down the bag until appropriate size, and cylinder style provides convenient carriage in the boat. Available colors: red, green, blue, yellow and camouflage.